Rare digital art is a movement to take internet assets that have previously been infinitely copyable (songs, memes, etc) and turn them into provably rare, tradable blockchain assets. 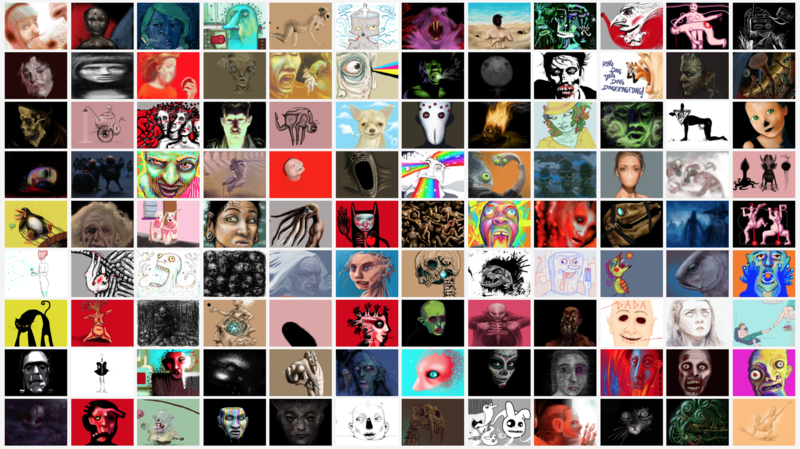 From "Rare Pepe Wallet" to the recent explosion of Crypto Kitties into the mainstream consciousness, it is clear that rare digital art is more than just a fringe movement experiment. Collectible digital art is a real, fully functioning blockchain use case that people love. It's time for creators and supporters of rare digital art to get together in New York City to meet and exchange ideas about the future of the medium. Tommy Nicholas and Rare Art Labs are thrilled to be organizing this first event of its kind in New York City. Mack of the founder of Crypto Kitties, a crypto-collectibles game on the Ethereum blockchain that has driven much of the explosion in mainstream consciousness for rare digital art. Kevin Trinh is the founder of Rare Art Labs and Never-Not. Previously launched websites for The Virginia Museum of Fine Arts, T-Pain, Fool's Gold Records, and 10.Deep Clothing. Beatriz is the founder DADA, a social network where people create collaborative digital art that can be collected on the blockchain. Before that she owned a comic book store, worked as an artist at MTV and Disney and founded Dancing Diablo. Matt is one of the co-creators of Cryptopunks, 10,000 unique characters you can own on the Ethereum blockchain. Shaban Shaame is the founder of Spells of Genesis, a game designed specifically to allow players and collectors of digital art to purchase and trade in-game cards using either in-game currency (through traditional in-game purchases), cryptocurrency, or both. Vladimir Vukicevic is an expert in the intersection of art and technology, and CEO and Co-Founder of Meural—a company that uses a proprietary blend of hardware and software to bring art onto more walls across the world. Looking to show the world the beauty of combining blockchain technology with video games, Kilian has been creating Age of Chains, a blockchain trading card video game playing in an intergalactic clash of cultures. Yehudit Mam is the Co-founder of dada.nyc. She is a writer and cultural critic whose work has appeared on Out, Saveur, and Fusion, among other publications. Mediachain is a blockchain-based data solution to connect creators, audiences and information directly through content. Backed by Union Square Ventures and Andreessen Horowitz, Mediachain Labs was acquired by Spotify in April 2017. Kieran Farr is part of the founding team of Decentraland, a decentralized virtual reality community hosted on the blockchain. Jonny is a marketing lead at Status, the first mobile Ethereum client built entirely on peer-to-peer technologies. Tommy is the founder of Alloy, a compliance technology company in NYC. He loves Rare Digital Art and helping creative people get their ideas out into the world. Jessica is a visual artist who creates immersive installations that explore the breach between the digital and the physical worlds. She is currently directing, in collaboration with the TrueBit team, a public art project connected to the blockchain. Erich Wood is Co-Founder and CTO of Quidd, a fun digital collecting experience with a deep digital goods foundation. Founded in 2015, Quidd offers tens of thousands of rare, officially-licensed stickers, gifs, cards and 3D figures to collect and obsess over. Michael Xufu Huang, graduated from University of Pennsylvania, is a trustee at the New Museum. He made the Forbes 30 Under 30 Art & Style list in 2017 and judged for the 2018 list. He co-founded the independent, not-for-profit museum M WOODS in Beijing. Panel: "Rare Digital Art Breaks Out"
Joe (Rare Pepe Wallet), Matt (Cryptopunks), Mack (Crypto Kitties), & Beatriz (Dada). Moderated by Tommy Nicholas. Vlad (Meural), Cynthia Gayton (AOTB Pod), Jonny (Status), Woody (Quidd), Kieran (Decentraland). Moderated by Judy (Dada). DJ Pepe, Jess Houlgrave, Jessica Angel (Truebit), Michael Xufu Huang (M Woods). Moderated by Jesse from Mediachain. Join us in New York City's Flatiron District for a full day of rare digital art.